Rav Newstadt, a member of the Agudath Harabonim served as Indianapolis’s Chief Rabbi until is untimely passing at the age of 44. The Rav was known for his fierce adherence to uphold the Torah. The JewishJen website has a picture of his ohel. Reb Elyeh, leads to jewishgen main page. 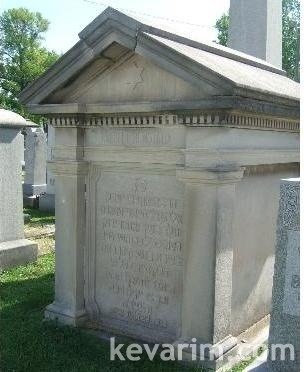 Go to here, http://www.jewishgen.org/databases/Cemetery/, search Newstadt in Indiana. Rabbi Neustadt was born Negnevitzky (brother of R’ Avraham) and changed his last name when he moved to Indianapolis. My children are direct descendants of his, and of his daughter Celia.